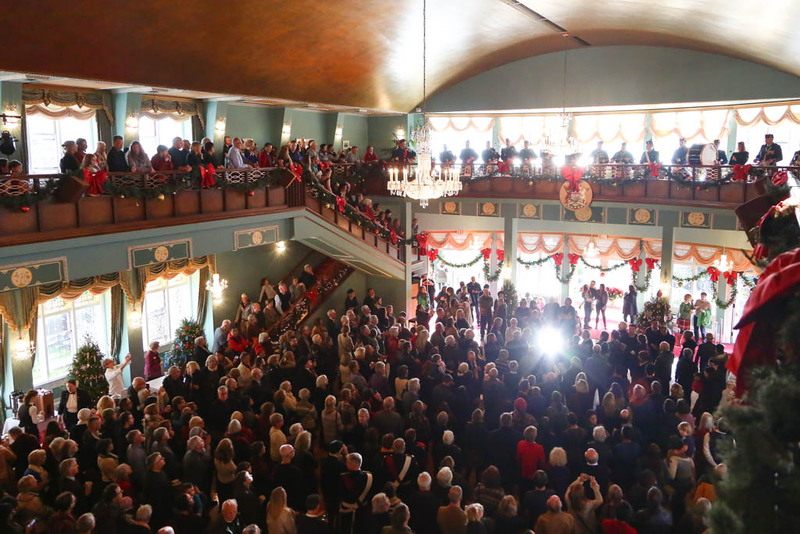 Beloved Government House traditions return for the holidays! 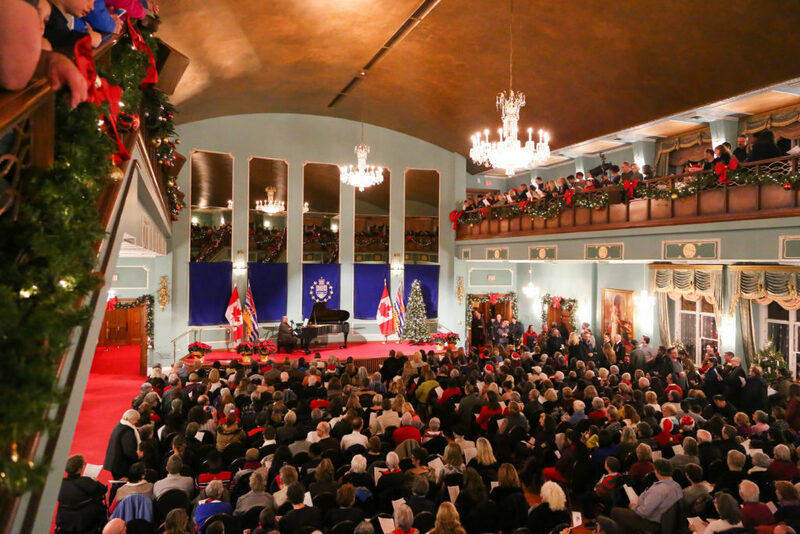 Join the Honourable Janet Austin, Lieutenant Governor of British Columbia, and the multi-talented Louise Rose to sing seasonal favourites and Christmas classics in the beautiful ballroom. There will be refreshments and a chance to have a look around Government House, decked out in festive splendour. There is no admission required; just bring your singing voices! Donations for The Mustard Seed will be gratefully accepted. This event is very popular so arrive on time to avoid disappointment. Please note that once our onsite parking is full, no vehicles will be permitted on the property until spots have opened. Mark yourself as attending on our Facebook. On January 1st, the Lieutenant Governor opens the doors to Government House for the annual New Year’s Day Levée. Her Honour greets the public and visitors have an opportunity to enjoy light refreshments and entertainment. Past musical acts have included the Canadian Scottish Regiment Pipes and Drums. The New Year’s Day Levée has been a tradition among Vice Regal houses since British Columbia entered Confederation in 1871. There is free parking onsite but it is limited– please consider taking public transport. It’s a 20-minute walk from downtown; buses on Victoria Regional Transit routes 11 and 14 stop on Fort Street at Joan Crescent, three blocks from Government House. More details, including a map, here. Government House is wheelchair accessible.